The delivery team is made up of developers, engineers, analysts, product managers, delivery managers, designers, researchers, content designers and architects. Currently, we’re working on 3 technical delivery priorities: increasing adoption of GOV.UK Verify; improving and maintaining GOV.UK Verify; and reducing our technical debt. completed an A/B test which removed the ‘Finding the right company for you’ page and looked at its effect on completion rate. Users see this page before they see the series of questions to help them choose a certified company that’s likely to work for them. The test was inconclusive - we’ll re-test soon, this time focussing on the impact on success rate. improved our analytics so that we can better track the success rates of users with different combinations of evidence, to help us understand how people are interacting with the service and make decisions about how to improve it. prepared out next A/B test to improve the ‘Can I be verified?’ page. Users are asked if they are over 19 or have moved to the UK in the last 12 months. This indicates that the user is likely to have an activity history that can be validated by the certified companies. 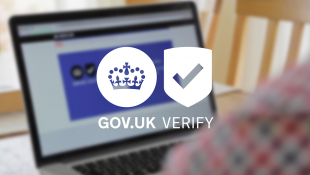 The new design aims to filter users who do not have an address in the UK and therefore cannot be verified so we can tell them GOV.UK Verify won’t work for them before they choose a certified company, and direct them to another way to access the service they want to use. tested new prototypes of the user journey in our user research lab. We wanted to see if there are ways of communicating the concept in fewer steps, but with each step containing more information. Initial feedback from this work supports our current approach of delivering information in small chunks. continued to make changes to prepare for the new certified companies joining GOV.UK Verify soon, for example we will need to change some of the questions to reflect the different methods new providers will be offering. started rebuilding our frontend application (the bits of GOV.UK Verify that users see). The new frontend is being built in the open and will allow users to use GOV.UK Verify in Welsh. started work on the Matching Service Adapter (MSA) to add support for multiple signing keys. The MSA is a tool which simplifies the integration of digital services with GOV.UK Verify. I previously wrote about updates to the MSA to add support multiple encryption keys. This follow on work will further reduce disruption to users when government departments rotate their signing & encryption keys. A new version of the MSA with these changes will be released shortly. continued work to break apart a large shared library of code used for our SAML (Security Assertion Markup Language) messages. This removes dependencies between our microservices and will allow us to make changes to our code faster.